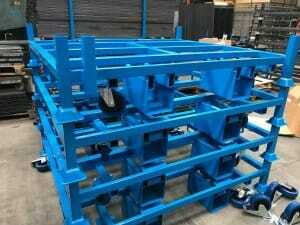 Metal Pallets Vs Wooden Pallets | Metal Pallet Specialist | Call Us Now! 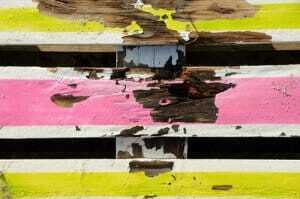 Wooden pallets are susceptible to rot and decay if exposed to wetness over a prolonged period of time. Like any piece of wood, if left wet for too long, it will develop fungi and mould which will start to digest and consume the timber as a source of fuel. If you are trying to safely store warehouse goods, defective rotting pallets could give away at any moment causing stores goods to topple. This can also pose a serious health hazard to warehouse workers and staff. Metal pallets, on the other hand, are very resistant to water and are usually made from stainless steel which has a protective ionised coating. At Range Storage Equipment, we also offer optional powder coating on all metal pallets which acts as a durable coloured coating. Wooden pallets are weaker in terms of strength when compared to metal pallets. Overall this limits what you can store and move and how much of it. Being limited by the weight capacity of a wooden pallet means smaller batches, more loads and manpower. In turn, your output potential is significantly limited. 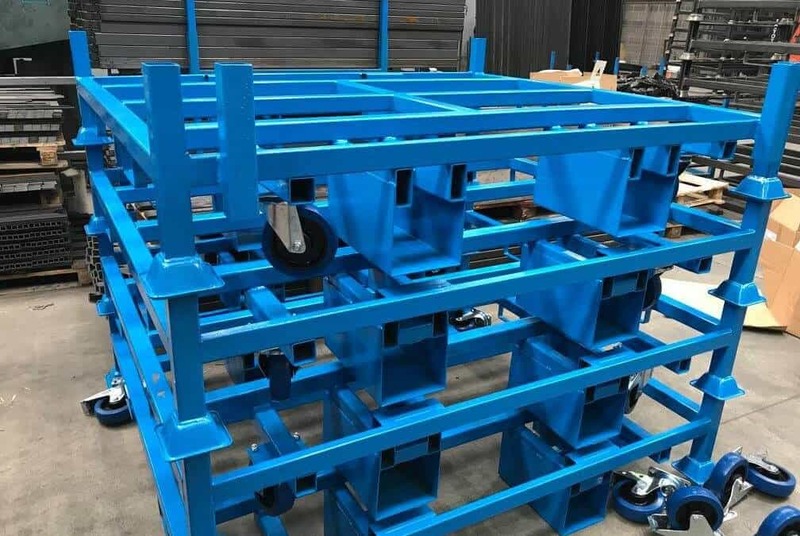 Metal pallets are not only stronger and can take more weight, they are also stackable allowing you to store more and more goods under a single spatial footprint. Sturdy caster wheels can also be fitted on metal pallets, eliminating the need to rely on forklift trucks as a means of mobility. 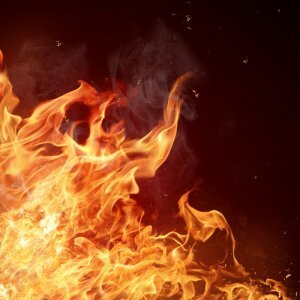 No matter what industry you work in, fire risks are an ever-present threat in any factory or manufacturing line. Wooden pallets represent a big fire risk and if a fire did break out, a stack of timber pallets would catch fire very easily and accelerate the speed at which the fire would spread. Metal pallets are very flame resistant and would not catch fire in the event of an accident making them a safer alternative than wooden pallets in a lot of environments. What Makes Range Storage Equipment Unique? 3. Pallet repair – please see stillage repairs & maintenance, the wording there is correct, something similar needs to be used, current wording is fluffy, not detailed enough. We have been designing and fabricating bespoke metal pallets to a long list of happy customers spanning several sectors. We insist on keeping all of our manufacturing processes in-house including our CAD teams, welders and powder paint spray facility. A succinct end-to-end production process results in a product that is unbeatable and of the highest specification. In addition to industry leading bespoke steel pallets, we also offer a pallet repairs service including, rejoining, castor replacement, deck replacement and powder paint respraying. We strive to be as competitive as possible and will make every effort to match prices quoted for any similar products elsewhere. To find out more speak to our metal pallet experts on 01274 736363 or Email Us.